Karen Kamsch vanished three decades ago. Anne Arundel County police have filed a missing-persons report and confirmed that she is the subject of a "critical" search and homicide investigation. For more than 30 years, Tate Kamsch has wondered what happened to his older sister, the pretty girl whose stellar report cards put his to shame. His family always told him she had abruptly run away. He kept a picture of her near his bedside anyway, hoping one day she might let someone know how she was doing. Hmmmm certainly sounds like someone in that family knows a whole lot more than what they are saying about this girls disappearance. Thanks sled for bring this to our attention. Three months after a man called Anne Arundel County police looking for answers about the mysterious disappearance of his 14-year-old sister in 1976, homicide investigators say they have zeroed in on a "person of interest" in the case and await test results to determine whether the girl's remains were found last week in a well outside her former home. Anne Arundel police Lt. David Waltemeyer said yesterday that forensic archeologists would examine evidence recovered Aug. 29 in a 20-foot-deep well at 51 Wishing Rock Rd., Pasadena, the address from which Karen Beth Kamsch reportedly disappeared 31 years ago. Waltemeyer said he could not "say we have found something or haven't found something" without the expert analysis. "After 30 years of being in water in a deep well, we would not expect to find intact human remains," Waltemeyer said. Waltemeyer said that although he could not "name a suspect" in the case, which is being investigated as a possible homicide, "I can tell you we have a person of interest." 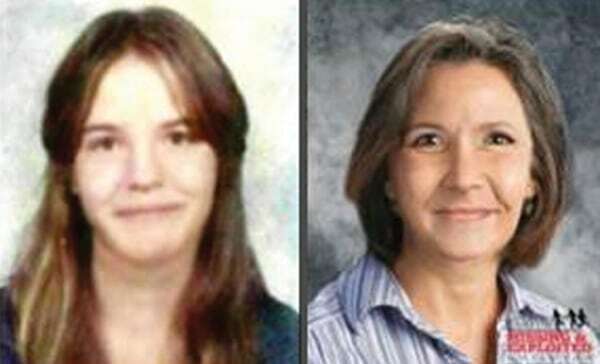 Waltemeyer described the person as a "close associate or family member" of the missing girl. "It's someone close to her, and that's all I can say," Waltemeyer said. Waltemeyer characterized the investigation as "very active." Anne Arundel police didn't even have the case on record until May 15, the day after Karen's only sibling, Tate Kamsch, 44, of Ridgely, Md., contacted authorities concerning his sister's disappearance. "I just really wanted to know what happened to my sister," Kamsch said at a news conference yesterday while standing near an enlarged school photo of his sister. Kamsch, who was 12 when his sister disappeared, contacted police after a relative told him about searching the Internet in vain for any mention of Karen's case. Until then, Kamsch said, he "just believed what my family told me." Karen had moved out of her parents' home because she was having problems with her family, authorities say, and was living with a grandmother at the Pasadena address. Karen had run away before, Kamsch said, and he hoped that she had done so again, that "she just wanted to get away from the whole situation and live a life." As the years passed, the disappearance became a piece of family history, stored in "the back of the mind," he said. "But nobody mentions it." When Kamsch contacted police, Karen's name did not come up in computer databases searched by authorities, police said. Since the filing of a missing person report May 15, police said, homicide detectives have interviewed Karen's friends and relatives. Police said that a birth certificate shows that a Karen Beth Kamsch was born Jan. 19, 1962, in Baltimore and that records show she attended Brooklyn Park Senior School in 1976. Police said they were told that Karen moved in with her grandmother, Olga Kamsch, "after having problems with her family." Police said Olga Kamsch was contacted by school officials in the winter of 1976 and told that Karen had been absent from classes. The grandmother, police said, found that Kamsch was not home and that "personal belongings, along with her winter coat, were still in her room." Police said that Karen's grandmother has since died but that her parents are living, her father in Glen Burnie and her mother on the Eastern Shore. The Wishing Rock home is occupied by relatives of Karen's, police said. Waltemeyer said Karen was once "a straight-A student" and had skipped sixth grade but that she had been "going through some difficult times," fell in with a different set of friends and "started getting into trouble." Waltemeyer also said "Karen was suffering abuse at the time" of her disappearance, but he declined to elaborate. Waltemeyer said investigators were drawn to the well by a cadaver search dog from Baltimore County and a tip from one of the people they had interviewed. The dried-up well had been capped. He said police found "certain things" that were not to be expected "at the bottom of a well after 30 years." Police made a request that people contact them with any information they might have about the case or Karen's whereabouts. "Let them know," her brother said, "so we know my sister's all right." This is the latest article I can find. The above links from the previous posts are no longer available. I am, and have always been drawn to places of a strange and unusual nature. Today I take you to one such place. According to THE ENIGMA OF WISHING ROCK author and retired Anne Arundel County police officer John D. Romine the community of Pasadena is home to a mysterious area of unexplainable happenings. Romine covers a series of highly strange events including hauntings, UFO sightings, car accidents, aircraft crashes, drownings, sinkholes, bombings, and a myriad of other tragedies that he believes is somehow connected to a large outcrop of mystical granite rock that sits prominently in the middle of the Bermuda Triangle-like geographical vortex that he lies out in his book. Wishing Rock is believed to be a Native American quarry site (dating back thousands of years), landmark, and possible sacred placed. Now it is home to centuries old graffiti, urban legends, mock sacrifices, teenage shenanigans, and all around bad vibes. In 2007 a home (located on Wishing Rock Road) just below the rock became the focus of a extremely strange police investigation involving a missing teen whose disappearance went unreported for 31 years. Detectives armed with warrants have searched the property for the body of Karen Beth Kamsch that they believed to be located there, but to this day the case is still unresolved. I, along with my wife, first visited Wishing Rock in late 2006. A week later she was in an extremely bad car accident that resulted in a totaled car, hospitalization, surgery, and her not being able to walk for months. I am not sure if I believe that Wishing Rock is necessarily cursed, but to play it safe I had not been back there... that is until today. Wishing Rock is situated on a plot of private property between Ritchie Highway & Route 10 and behind the Festival At Pasadena shopping center's south end. There is a trail (blocked off with ominous heavy chains and padlocks) heading up into the woods. The rock is just beyond the upside down desecrated snowman inscribed (*see note) with a pentagram, 666, and the words "Beelzubub This place is consecrated for our Lord". A safer and more legal alternative to trespassing would be to look for the Wishing Rock using a satellite imaging site (such as google earth). Wishing Rock is located at N39*07.347 / W076*34.860. Distinguishing Characteristics: White female. Blonde hair. In 1976, Karen's grandmother, Olga Kamsch, looked for the teenager at home when she failed to show up for school. She found Karen's belongings, including her winter coat, but not Karen. Karen had moved in with her grandmother on Wishing Rock Road in Pasadena before she vanished because she was having problems with her family. Family members told police that as a child, Karen was a straight A student who was so smart she skipped sixth grade. It was after the advancement of grade levels that Karen started hanging with the wrong crowd and getting into trouble. She ran away a couple of times and got into normal teenage trouble. Police were told Karen's father and her grandmother, who has since died, reported the disappearance to police, but detectives don't have records of that report. Checks of computer systems have been unable to verify Karen Kamsch's existence since 1976. On May 15, 2007, police formally filed a missing-person report. According to school officials Karen attended Brooklyn Park Senior High School through at least June 1976. After talking to family members, police have reason to think Karen may have been abused. Detectives believe her disappearance is suspicious in nature and she may have been murdered. Karen Beth Kamsch disappeared almost 40 years ago, but it took decades for a serious search for the 14-year-old girl to begin. And now, Anne Arundel police are renewing their efforts to find any information about the high schooler and what might have happened to her back in 1976. Friday, police released a age-progression photo showing what Karen may look like now. It's part of an investigation that they launched in 2007, after Karen's brother contacted them to find out what had happened to the case. When police checked, they found no evidence that anyone had filed a missing persons report for Karen back in 1976. "I just really wanted to know what happened to my sister," Kamsch was quoted in 2007 in the Washington Post, speaking at a news conference while standing near an enlarged school photo of his sister. Olga Kamsch, who has since died, and Karen's father, George Norman Kamsch, allegedly called police to report the teen missing, but police could not find any record of it. Following interviews with Karen's family, friends and classmates, police say they believe that Karen's disappearance was suspicious in nature. They fear she may have been the victim of a homicide. In 2007, police searched the Pasadena home, including a deep, capped-off well on the property, led there by cadaver dogs. The well was partly filled with water, and police said it was unlikely that any remains would have been intact after 30 years. A police spokesman did say searchers found "certain things" that surprised them, but did not elaborate. Police also said they had identified a person of interest in the case who was a "close associate or family member" of Karen's. But no arrest was made and the case has been quiet since. Page created in 6.108 seconds with 20 queries.